By sheer force of will by hosts Scott Lewis and Andrew Keatts, this episode is largely about baseball. But we also cover the Kevin Beiser scandal, a new vaccination bill and other top news. And maybe — just maybe — you’ll be a Padres fan by the end. Let’s get right to it: San Diego is a one-horse town. If you are a sports enthusiast here, your options are few. The “horse” in question is the San Diego Padres. 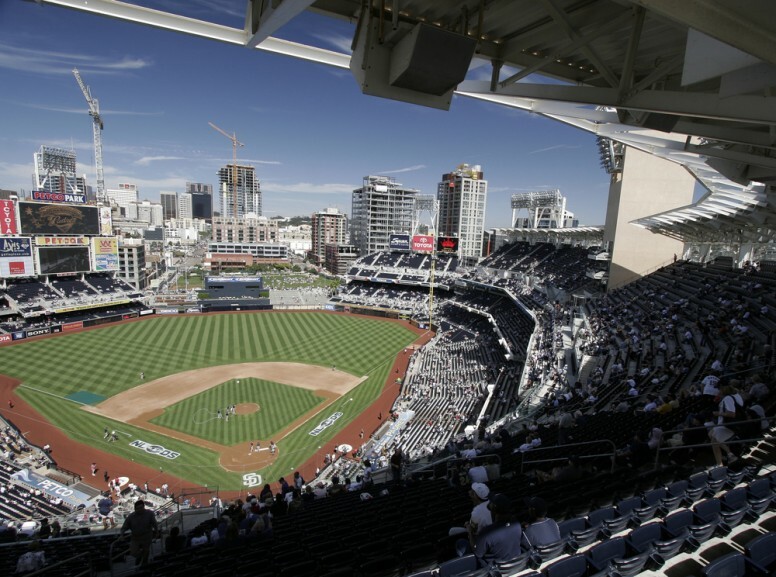 In the second half of this week’s show, Scott Lewis and Keatts pitch Libby on why she, a non-baseball fan, should get on board with the sport and the Padres in particular. So if anyone isn’t sure about being a bandwagon-jumper now that Manny Machado is in town, take a listen. Opening arguments start at 35:30 in the podcast. Last week, Keatts broke the story of four men who accused San Diego Unified Trustee Kevin Beiser of sexual assault and harassment. This week, Keatts published a follow-up detailing the moves Beiser made behind the scenes to identify potential accusers and prevent their stories from going public. A new bill, SB 276, aims to crack down on medical exemptions to vaccine requirements. The lawmaker proposing the bill cited Voice of San Diego’s investigation into a San Diego doctor who’s responsible for doling out a third of all medical exemptions in the San Diego Unified School District. “It wouldn’t be a Voice of San Diego podcast if I didn’t talk about pensions,” Lewis said in this week’s episode. On Monday, the Court of Appeal declined to invalidate Proposition B, the city’s legally dubious pension reform measure from 2012. Lewis tries to lay out the facts of this never-ending story the city faces. Your San Diego pension mini-lecture starts at 26:30. Less than six months after the Metropolitan Transit System updated its real estate policy to encourage more housing near transit, there appear to be positive results. MTS recently authorized negotiations with a development team to build housing on a trolley station lot. Someone is pretending to be Keatts, calling people potentially involved in the Beiser scandal. This is a PSA as much as a “Goat” segment: If anyone ever calls you claiming to be from Voice of San Diego and you’re unsure whether that’s true, feel free to verify by using the phone numbers and email addresses listed on our team page. And note that we don’t call from blocked numbers. After decades of slow-going, the city of San Diego plans to speed up a project to put overhead utility lines underground. Ry Rivard sat down with Voice of San Diego engagement editor Megan Wood to talk about the project’s status and near future. That segment starts at minute 50. Nate John is the digital manager at Voice of San Diego. He oversees Voice’s website, newsletters and podcasts. You can reach him at nate.john@voiceofsandiego.org or 619-550-5672.